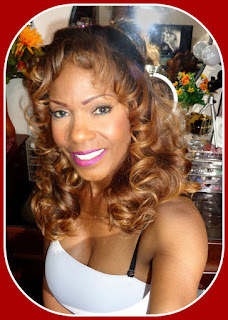 Bobby Brown Natural Finish Long Lasting Foundation is one of my favorites because the color is an exact match to my skin tone. I also mix it with a little of my moisturizer before applying to my face just to give my face a more sheer summer glow. 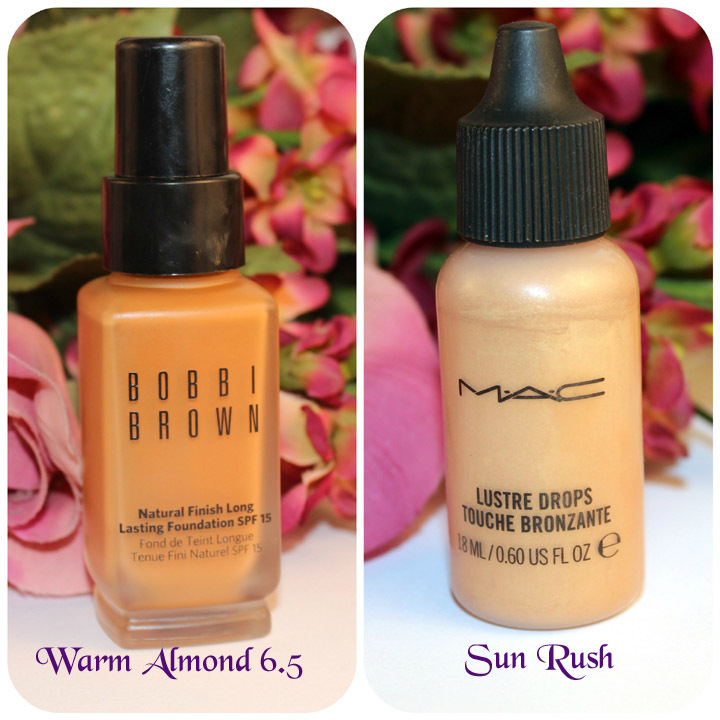 Mack Lustre Drops in Sun Rush gives my cheeks a beautiful golden glow that I love. I dab very little on the tops of my cheeks and spread it towards the ears as my highlighter. 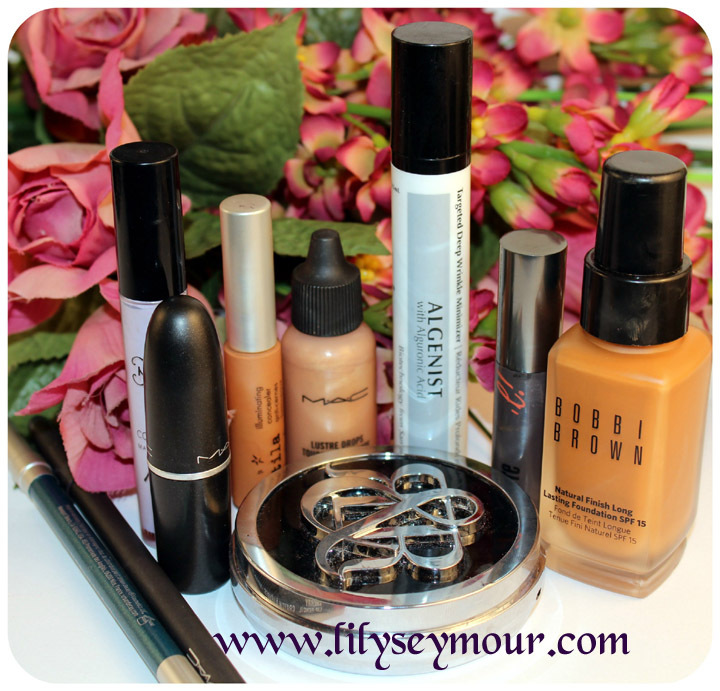 I prefer using my finger tips instead of a brush because I can control how much to put on. Algenist Deep Wrinkle Minimizer is what I use all around my eye area. 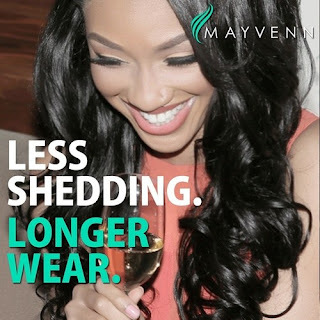 It tightens any fine lines and makes them completely invisible. This can also be applied anywhere on the face that you feel needs a little extra support. 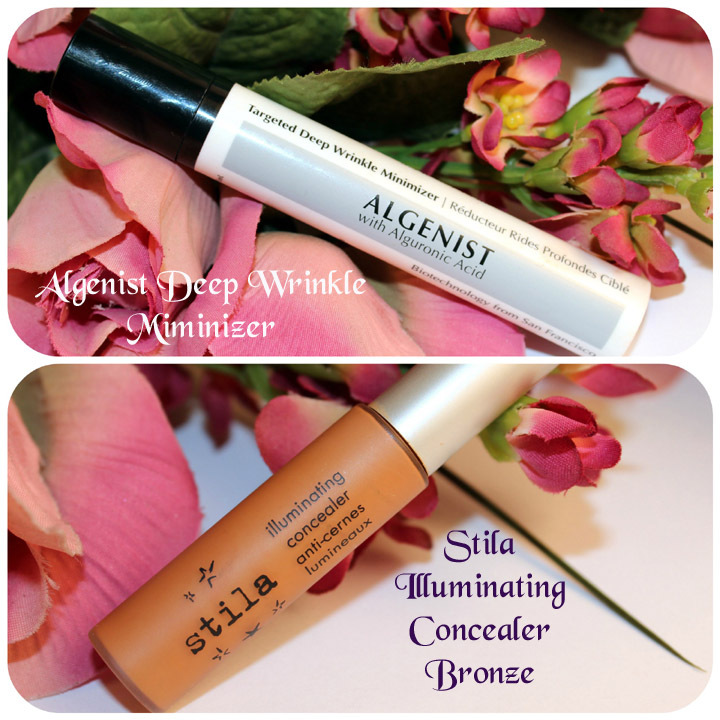 Stila Illuminating Concealer in Bronze is such a beautiful creamy texture that applies very smoothly. It also has some sort of glow that I can't describe, I guess that's why it's an illuminating concealer. I do set it with a setting powder just because it's summertime and I do tend to perspire a little and I don't want it to crease. 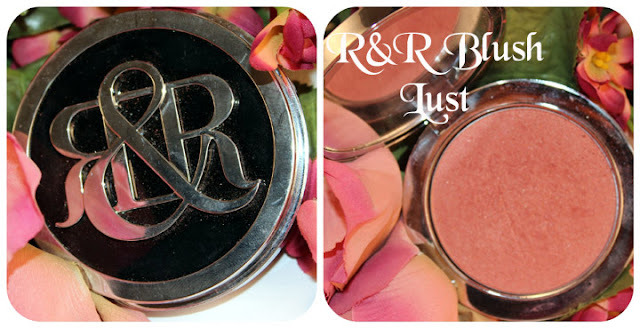 Rock and Republic Blush in Lust needs no introduction because you guys know how much I love this blush. I mean i've only mentioned it a dozen times and you've seen it in almost all my looks.... I just love the sunkiss glow it gives my cheeks..... love it! Mac Cherry Lip Pencil might be a little bright for some people but I have a natural brown pigment in my lips that makes any cherry or fuchsia lip liner look slightly darker than it really is. So I can pull off brighter colors without looking like i'm trying to make a lip statement. 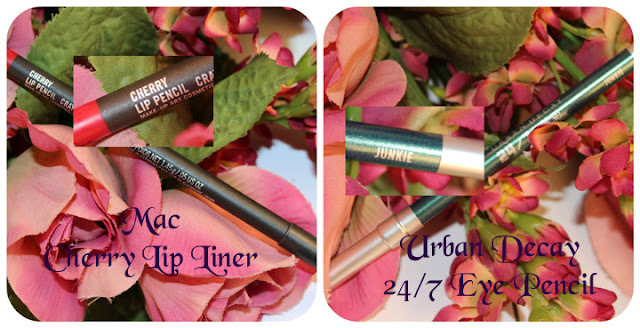 Urban Decay 24/7 Eye Pencil in Junkie has to be one of the prettiest colors in the 24/7 spectrum for me. I love all of UD 24/7 pencils because they contain sparkles but Junkie takes my eyes to a whole new level. I'm not wearing much eyeshadows this summer so this gives my eyes a little color. 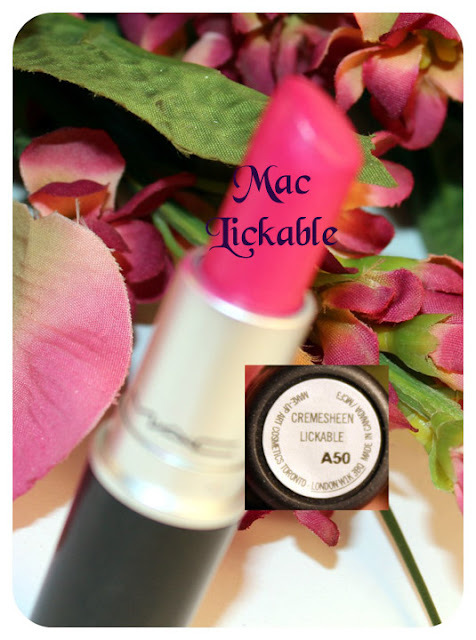 Mac Lickable Lipstick is one i've been wearing all summer long. Sorry about the blurry photo but you can get an idea of the color. Again it looks bright pink but with the darker pigment in my lips, it comes off darker and almost a cherry color on me. It looks so pretty with a pair of dark sunglasses and nothing else! 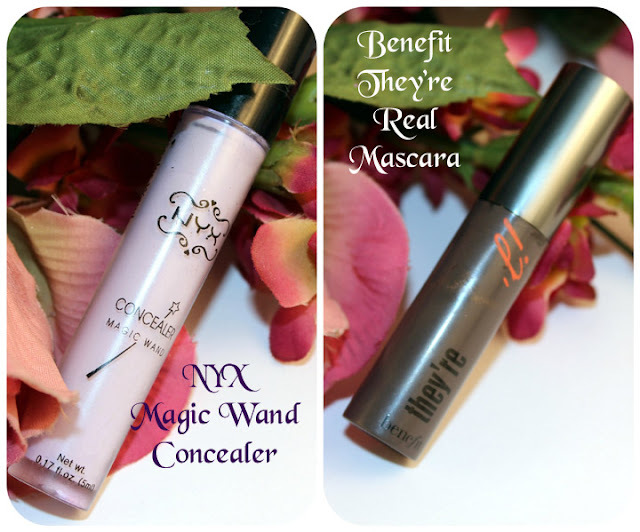 NYX Magic Wand Concealer is one of those hidden treasures that you discover by accident. I bought this with no intention of falling in love with it but I tell you, it covers flaws like you wouldn't believe. I use underneath my eye area and underneath my eyebrows. Then I apply my concealer over it. It gets rid of all my dark circles instantly.... I can't live without it! Benefit They're Real Mascara was discovered by accident also. As you can see in the photo it's a little mini mascara that I picked up while standing in line at Sephora, now I know exactly why Sephora has all those baskets full of mini's by the checkout lines. I love the wand and especially those little spikes at the tip, i've never seen anything like it and it really separates my eyelashes which I love.